SOTA is an organization that offers opportunities like conferences, events and guest speakers for all interested students. Photo Courtesy of SOTA. 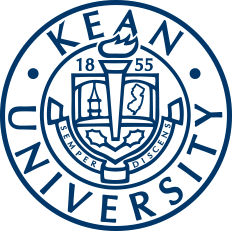 In addition, students can utilize mentoring and networking programs as well as social events outside of Kean. By participating in their events and promoting awareness in their field, the executive board and community can become better professionals. Through its executive board, SOTA is able to create initiatives that will help the members and others willing to explore occupational therapy. The executive board consists of nine individuals who office the organization and its functions. The executive board members include President Nicole Kaspar, Vice President Penina Brandeis, Treasurer Manveen Singh, Secretary Alexis Kessaris, Director of Public Relations Taylor Kennedy, Faculty Adviser Claire Mulry, Ph.D., and Department Staff Carli Hench and Lori Berry. SOTA Bake Sale: Monday, March 25 and Monday, April 8 from 3:30 to 4:30 p.m. in the East Campus Lobby. BFF Breakfast for Families 2019: Sunday, March 31 from 10 a.m. to 1 p.m. in the Miron Student Center (MSC). Each of the bake sales hosted by SOTA will benefit the Alzheimer's Association through donations made. Students can visit the tables for delicious treats while supporting the cause. The BFF Breakfast for Families 2019 event is hosted annually by SOTA in honor of Autism Awareness Month. Beside bringing awareness to the cause, SOTA will be giving away free breakfast for families with children living with Autism Spectrum Disorder (ASD). The organization hopes that families will enjoy breakfast while networking and socializing with other families and student volunteers. While there are activities for the children, parents will have a guest speaker present. President Kaspar wants students interested in joining to know that SOTA aims to teach and learn from its members. "My formal duties as president are calling meetings to order, leading executive board meetings and general body meetings, while setting both short and long-term goals for executive board members and general body members," Kaspar said. "However, it has been a pretty collaborative approach this year, as I am so fortunate to have help from the greatest eboard. I try to use my position as a leader to advocate for the profession and ensure the best opportunities are provided to our members." With the organization's mission in mind, Kaspar strives to promote an increase of knowledge and awareness of occupational therapy among the members. "The mission of SOTA is extensive," Kaspar said. "We promote a hands-on experience at our general body meetings, whether that be with guest speakers from various backgrounds or volunteer opportunities within the community." Vice President Brandeis' job as the vice president ensures that everyone on the executive board feels supported and assisted in responsibilities dedicated to the organization. "This year, our SOTA eboard had very dynamic roles because each person was willing to assist one another to make sure we were getting the job done right and on time," said Brandeis. "Students who are interested or think they might be interested in occupational therapy can come to our meetings to learn from professionals in our field or professionals in interdisciplinary fields to get a better understanding of what occupational therapy entails and how we work as a team with other professionals." SOTA offers learning outside the classroom for those that are already in the program or undergraduates who are interested in applying. It also acts as a networking group for undergraduates and graduates to meet and talk about the program and the profession. "We've had guest lecturers who have valuable experience with occupational therapy come to talk to the members so they can see the impact its had on former clients of this wonderful profession," Brandeis said. Secretary Kessaris' duties include typing the meeting minutes from the general body meetings and the eboard meetings, sending and replying to all emails and other responsibilities that help behind the scenes operations of the organizations. "Students benefit from this club, [not only] from the events that take place in the community, but also from the general body meetings," Kessaris said. "Members are able to learn from each of the guest speakers to enhance their knowledge about the field of occupational therapy." Treasurer Singh believes that students benefit from various community service events and educational opportunities hosted by the organization. "In my position, I try to implement the mission of SOTA by encouraging students to attend informational meetings, volunteer in the community, and advocate for the profession of occupational therapy," Singh said. 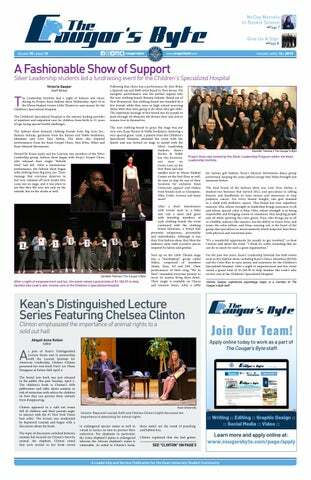 Students interested in SOTA can email them at sota@kean.edu or visit their Cougar Link page for more information.